Dustin Poirier only sees one color these days and that’s gold. The top five ranked lightweight contender has been gunning for a title shot for the better part of the last year but muddied waters at 155 pounds have prevented a lot of contenders from vying for that coveted championship. Following his last win over Justin Gaethje in April, Poirier felt like the timing was right to face off with champion Khabib Nurmagomedov but ultimately the matchup never came together. 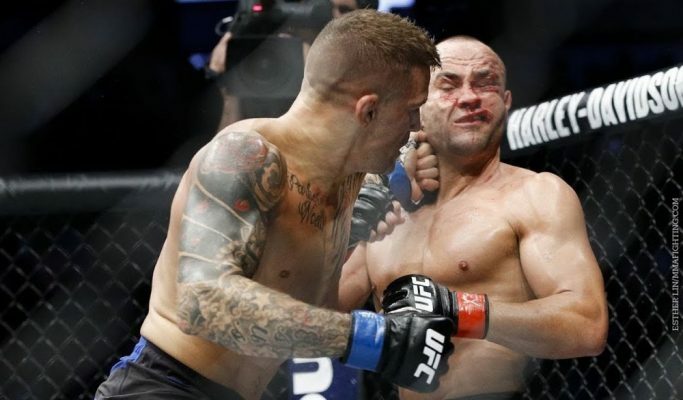 Rather than sit on the sidelines and watch the rest of the division move forward, Poirier booked a rematch against former champion Eddie Alvarez this weekend at UFC on FOX 30 in one of the most highly anticipated fights of the year. Meanwhile, Nurmagomedov is expected to welcome Conor McGregor back to the Octagon later this year while former interim champion Tony Ferguson is still working towards a return to action after knee surgery. While Poirier understands that he’s probably not going to fight for gold in 2018, he’s set his sights on a title fight early next year after he dispatches Alvarez on Saturday night. “I’m gonna beat Eddie Alvarez and get a title shot,” Poirier said ahead of his fight at UFC on FOX 30. “I don’t know when it’s going to be. I have the feeling it’s going to be the beginning of next year sometime. So I’m going to still end up enjoying the end of summer with my family and getting back home to Louisiana, helping some guys out at my gym and getting back to a little bit of a normal life. I’ve been in camp for six months almost it feels like. I had a couple weeks after the [Justin] Gaethje fight but then I flew right back out to Florida to get to work. Poirier has been singled minded and focused on the gold for his past few fights as the former featherweight turned lightweight has quietly put together an impressive resume in arguably the most stacked division in the sport. 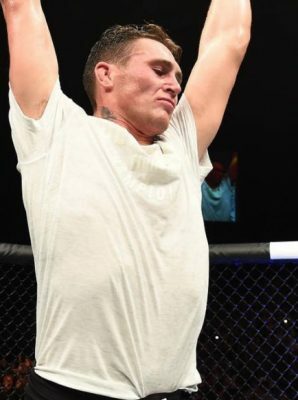 He’s gone 7-1 with one no contest since returning to lightweight with his last two fights ending by TKO over former champion Anthony Pettis and the afore mentioned battle against Gaethje. Poirier knows his spot as the No. 1 contender will be cemented once he knocks out Alvarez this weekend and then the only thing he’s going to worry about is when he’ll be fighting for the UFC lightweight title.